BLOG CANDY TIME! Countdown to my blog 1st Birthday on December 5th!! BLOG CANDY TIME!! Count down to my blog 1st Birthday on December 5th!! Hi everyone! Well, it's time for a blog candy! I'm doing a countdown towards my blog 1 year birthday which will be on December 5th. I'm also celebrating several blog milestones . . ..I've reached my 100,000 hits for Stampin Inspirations and 80,000 for Card Inspired and 1,000+ subscribers for both blog sites!! Whoohoo!!! I would never have imagined that I would reach any of those milestones. Blogging has been such a fun part of my life. I've met many wonderful blog friends and sharing ideas with other people who have the same interest as I do. Thank you to those who visit my site and comment. . .I really appreciate your comments because your input is very important to me. As a thank you. . .I will automatically add your name to the blog candy bucket for each comment you've made starting October 1st to November 29th. There will be many opportunities to play. . .each time you play along, your name will be added to the blog candy bucket! First of all . . .comment this post and your name will automatically be added to a blog candy bucket in which I will be pulling a name out of to choose the winner!! Please comment on the post. DO NOT SEND ME AN EMAIL. My email is sort of messy right now and I may miss your comment so COMMENT ON THE POST ONLY. #2 Starting tomorrow, I will be posting a "challenge" as a count down to my blog birthday so basically you have 6 opportunities to add your name. . .I'll keep the challenge simple such as asking a question, asking for an opinion, sending a picture of your favorite card, etc. #3 I will be posting this blog candy for both blog sites (Card Inspired and Stampin Inspirations) so you have two opportunities each day to submit your name. I will be adding a prize each day starting tomorrow until the day the blog candy ends on DECEMBER 5th! All of the prizes will go to ONE lucky winner. I will announce the name of the winner on December 6th!! 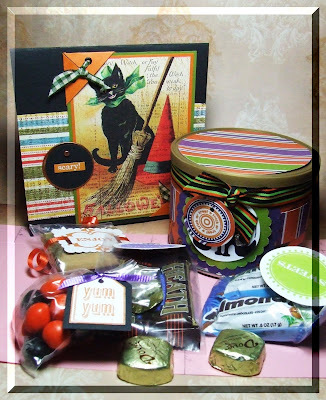 I'll post the first prize that will go into the prize bucket tomorrow!I will be posting this same blog candy on Stampin Inspirations for those who visit my Stampin Inspirations blog site . Remember. . .you can play both blog sites. The challenges for both blog sites will be different so be sure to drop by both blog sites for more opportunities to submit your name!! Come on and play along! You will LOVE the prize! Again, thank you everyone for being such wonderful blog friends!! Hi Everyone! This is the RAK I received from Rita of "Rita's Little Corner". Aren't they all wonderful. Her card is actually a card folder that stores all the images she sent me! I love all of them. She also included Christmas stickers and ribbons. Thank you Rita for being so kind to choose me for your fabulous RAK receipients for the "Pay it Forward" game. The game is to choose 3 people to RAK and they in turn have to "Pay it Forward" to 3 other chosen people. Jen of "Pieces of Me"
Michelle of "Come Stamp With Me"
Gabby of "Confessions of a Stamper"
Be sure to drop by their blog sites. They're all fabulously talented! I haven't sent out their RAKs because I'm trying to gather a few things to put together. I want them to receive something nice. Gals, thank you for your patience. . .I didn't forget to send the RAKs. . Awesome RAKs I received!! Check it out!! This is a fabulous RAK and prize I received from Angel from "Angelosity" for participating in her blog candy last month. I love the card. . .Angel is a very talented card maker! Along with my RAK, I received these wonderful designer paper as a prize for winning one of her challenges. The colors and patterns are fabulous. They're very elegant looking. Thank you Angel for your kindness. This is a fabulous RAK I received from Diana of Scor-Pal. Scor-Pal has been recently modified and now has more grids. I think it's a fabulous improvement. I have to tell you. . .if you don't have a Scor-Pal, I do recommend it highly I use it daily when I score my cards. I no longer use my Fiskar scorer because the Scor-Pal is so much more efficient in scoring my cardstock. It's a must have if you are a cardmaker. Be sure to stop by Scor-Pal and check it out. Thank you Diana for being such a very kind person and very thoughtful. This is a "Thank You" card I received from Tracy at "Tracy's Happy Place". You can't really see it in the picture but parts of the card is shimmery. It's very pretty. Bella's shirt sparkles. Thank you Tracy for the wonderful card! I appreciate it!! Hi Everyone! I'm sorry I haven't posted on this site for a few days now. I haven't made any scrappy projects because I've been concentrating on making cards with rubber stamps. 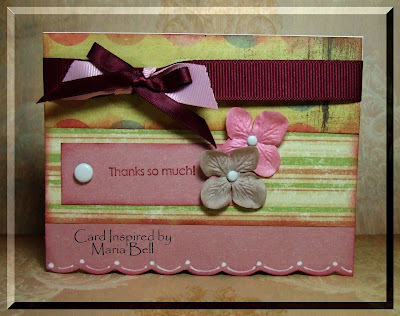 Be sure to visit "Stampin Inspirations" for cards that I created for that blog site. Anyway, here are two cards I made using scraps of designer paper. I wanted to try a different shape and making a Christmas tree card would be appropriate. I punched one inch circles and created ornaments. I topped them off with rhinestones. After this week, I'll be slowing down making cards and can concentrate on scrappy projects. Right now, I just want to get my Christmas cards finished off. Hope y'all have a wonderful day! Hi Everyone, this is an update of this post. I added the tutorial! Try it out! Good Morning Everyone! I love Little Debbie's Marshmallow Pie so I bought a box of them at Walmart with the intent of putting them inside gift baskets and gift bags that I'm going to give out to family and friends. I decided to create decorative holders for them and realized that they would be great to place on the table for Christmas parties as a decorative piece. I can easily refill them with the marshmallow pies. Anybody want a tutorial on this project? You can place cookies and other packaged goodies inside the holders. Let me know if you want a tutorial and I'll create one! Hi Everyone! Hope y'all had a wonderful Thanksgiving! There's a lot to be thankful for! We had a wonderful dinner. Thanksgiving is always nice. I made these Cocoa Pocket Cards the other day but didn't have time to post them until this evening. It's really easy to make them. I suggest keeping your design simple if you're planning to make a whole bunch of them. I still need to make about 12 more of these. I bought the cocoa packets at Walmart. They came in a gift pack of 20 packets. I plan to put them in gift bags along with the Marshmallow Pie Holder and place them in gift baskets to give out for Christmas. 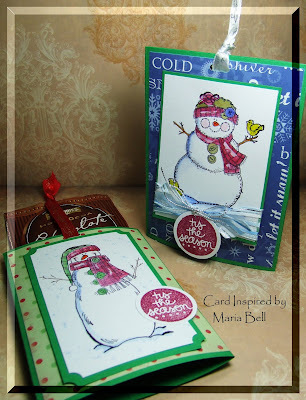 The stamp sets are from the SU "Stitched Snowman" and "Let it Snow" stamp sets, the sentiments by Studio G, the images were colored using Twinkling H20 and the ink for the sentiment is "Purely Pomegranate" by SU. 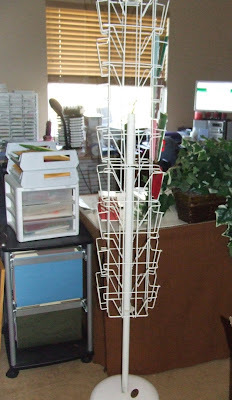 I'll have time tomorrow to create the "Marshmallow Pie Holder". Hopefully, I can post it tomorrow. Check back tomorrow for the tutorial. Anyway. . .try it out! Hey Everyone! I updated this post and added the tutorial. Try it out! It's super EASY to create this ornament. 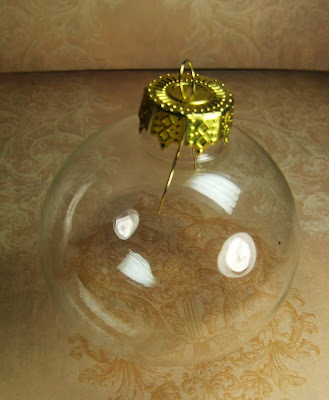 You can create beautiful ornaments using Pearl Ex and this clear ornament. It's also fun because you can come up with your own color combos. This is a close up of the finished product of this project. It's really way too simple to create that you don't need a tutorial but I'll do one for those who prefer visual instructions. I'll do the tutorial tomorrow for those who've never tried this project. 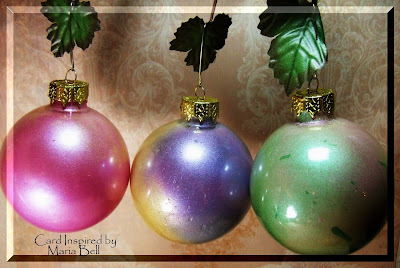 My Internet is running so slow that I'm still waiting for the pictures of my "Glittery Christmas Ornaments" tutorial to load. 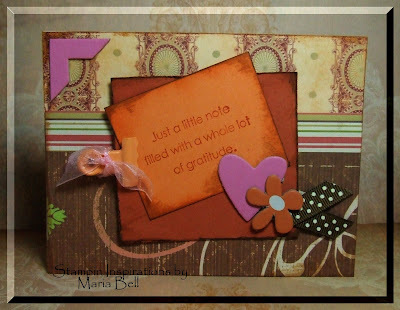 Be sure to check out Stampin Inspirations tomorrow for the tutorial on that project. 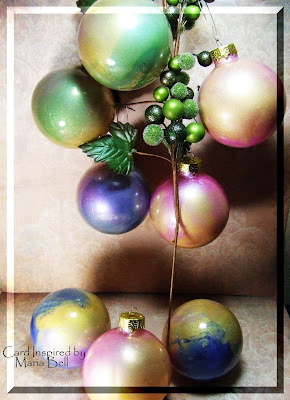 I'll post the tutorial for the "Pearl Ex Ornament" on this blog site. Here's a few more in different colors! I love the colors! 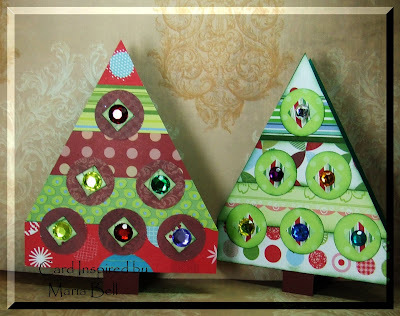 Hey Everyone. . .stop by my Stampin Inspirations blog site to check out the "Glittery Christmas Ornaments" I created using rubber stamped images! I'll be posting a tutorial on how to create it this evening so be sure to check back later tonight! OMG! This Brings Back So Much Wonderful Memories! Hey Everyone. . .I'm working on a project. 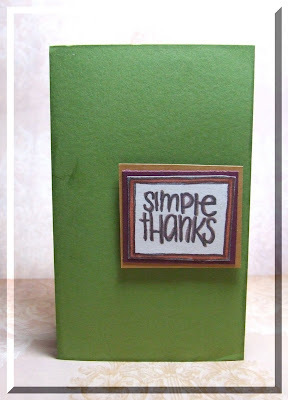 If I have the time, I'll post it on Stampin Inspirations tomorrow. In the meantime, check out this video. I love this part of the movie. I love the song. I still remember watching the movie as a kid. It's classic. . .ha! . ..literally!! Hey Everyone. . .lately I've been having a blast altering containers. I worked on these containers this morning. 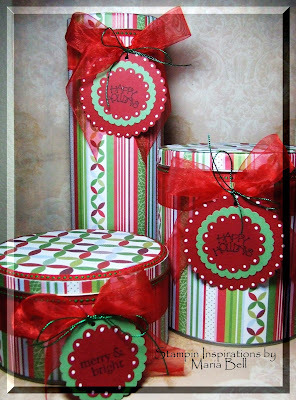 Why buy coordinating Christmas containers when you can make them yourself? All together, it cost about $2.00 to alter all of the container. I used a total of 4 scrapbook paper, 2 sheets of cardstock and a few feet of ribbon. That's all. I bought these tins for 25 cents each at a garage sale this weekend. I believe they contained cookies and other stuff. I think the seller was surprised that I asked if she had more of them and probably wished she didn't throw away her containers. Unfortunately, she had only 3 of them. The other day I stopped by Big Lot and small to medium tins were from $1.50 to $3.00. I decided to hold off on buying them because they were too pretty to alter. What's the point of altering a tin when the container is already pretty. 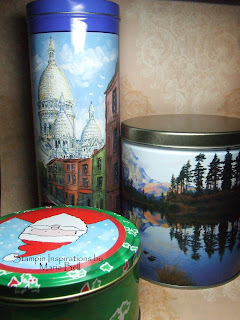 The garage sale tins were pretty but my goal was to alter them so the design on the tins didn't matter to me. I just wanted them to be cheap. Ha! Anyway. . .here's what I did with the containers above. 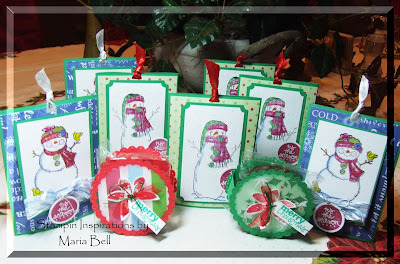 I used Provocraft Holiday Collections designer paper, SU Wild Wasabi and Real Red cardstock, Organdy and green metallic ribbon, and created the scallop circles using my Craft Robo and SU Scallop punch. I added the dots using the Sakura Souffle opaque pen. It took about 30 minutes each to alter each container. 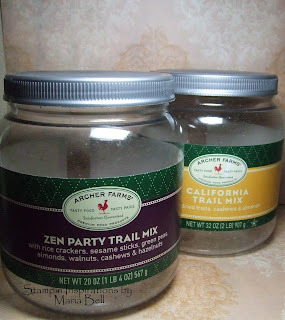 These containers previously contained trail mix snacks. My husband have been saving them for me. Remember last month when he threw all of the containers that I've been saving not realizing that I wanted to keep them. Well, he felt bad about it so whenever he comes across empty containers, he saves them and ask before throwing them away. Here are the containers altered. Try it out. . .it's REALLY fun seeing what you can make from something you would typically throw away. Hey Everyone! Hope everyone is having a wonderful Sunday! Gosh, Friday and Saturday were very busy days! Not once did I have a chance to sit down to create something. We got up early to drop off my kids to the school for a Key Club Rally that was held at Six Flags Magic Mountain. The rally was to benefit the Pediatric Cancer Foundation and they raised some money for the cause! Whoohoo! While my kids were away, my husband and I ate out for breakfast early in the morning then went shopping for a fireplace for our outdoor living space. We finally decided on this very pretty fireplace . . .it has a sitting area, lights, and even an area to store your wood. It should be in place in 2 weeks. I'll take a picture of it when it's completed. I can't wait to sit out in our backyard at night and cozy up near the fire. We can cook marshmallows and just hang out after we BBQ. 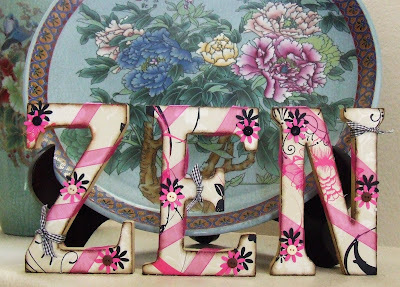 Anyway to Zen up my craft room. . .I altered the wood alphabet blocks using designer paper by DCWV, sanded the edge and applied distress ink to give them a shadow appearance. I wrapped organdy ribbon around them and decorated them with die cut flowers and buttons. Until later folks. . .I need to go and eat lunch now!! Hey Everyone. . .I've been tagged by Tracy at "Tracy's Happy Place". I have another tag that I'll be playing but I'll do this one first. This tag requires that I answer the 5 following questions. . .
1. If you could have 100.00 worth of scrapbook paper or assorted embellishments, which would you choose? I have so many scrapbook paper I'm drowning in them so I would say I want embellishments instead. 2. If you had to choose between using only stamps or rub-ons, which would you choose? This is an easy one. . .I'm not really a "true" scrapbooker because I've just recently started scrapbooking. Rubber stamping is still my passion so I would definitely choose rubber stamps for sure! .3. If you knew how to do both awesome cards and layouts but could only do one for a whole year...which would you do? My so called day job is card making and scrapbooking would be considered my part-time or side job so I definitely would prefer to make cards. 4. Would you rather own a scrap booking store or have your own scrapping room at home? I would love to own a scrapbooking store. . .I already have a home "studio" of my own. 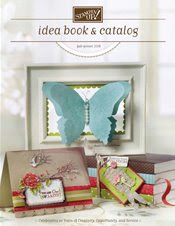 A scrapbook store would be fun to meet other people in the community with the same hobby. 5. What is your CURRENT card making or scrapping style? 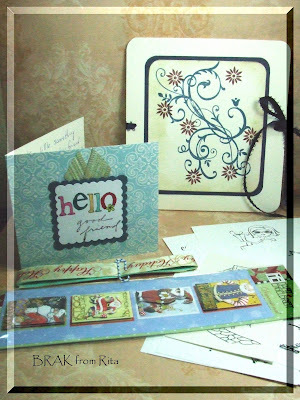 I'm pretty random as a card maker. . .I'm not brand specific or style specific. I do love to color and I think that is what I'm best at but other than that, I don't have a specific style. Here are the rules..............Please answer the questions on your blog and tag 5 more people to answer the same questions..........make sure you list on your blog who you are tagging. I now have to tag 5 people. I'll list the 5 people later today!! My Favorite Christmas Song. . .
Just one of my favorite Christmas song. . .
On Sunday, I found these old unused photo albums for a $1 each at a garage sale. I bought them with the intention of altering them. As you can see, the design of the covers are not very pretty but I saw potential for these photo albums. 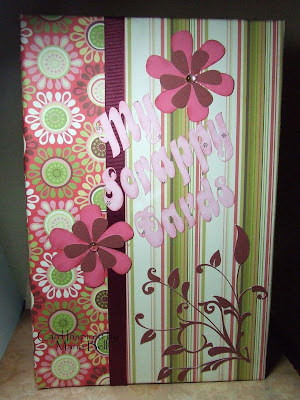 I altered one of the old photo albums and created a "Scrappy Card" Album that I'm using to store my card fronts. The photo album is a tall one. . .14 inches tall. A few months ago, my local Michaels was getting rid of rolls of designer paper by EK Success that were the length of wrapping paper. I strolled by the "clearance" section and they were selling them for a $1.25 each. The rolls had 4 different designs and were double sided. At regular price, they were $8.99 each. The size of each paper are 24 x 36". I bought a whole bunch of them not knowing what I was going to do with them. Well. . .I must say I was a very savvy, smart shopper. The papers are FABULOUS and they are very good quality papers. I was able to alter this album which typically a 12x12" designer paper could not cover completely, but with the large papers that I bought, I was able to cover the album completely. The flower, titles, and swirl design were all created using my Craft Robo die cut machine. I even designed the flower myself using Adobe Illustrator. I love the Craft Robo for this reason. I can create my own die cuts. For those who are not familiar with the Craft Robo. . .basically, it's the Xyron "Wishblade". They're the same machine. . .Craft Robo is the European version and the Wishblade is US version. Although there's a huge learning curve with this machine, I feel it's worth the money and better than the Cricut. The only drawback is that if you are not computer savvy, you may be limited with what you can do with the cutter. I lined the inside of the photo album with the same designer paper. Rather than inserting pictures in the pockets, I'm using them to store my card fronts. What are card fronts? For those who don't know what they are. . .card fronts are just the front design of the card which are not attached to a card base. Basically, you'd design a 4 x 5.25" cardstock like you would a regular card. 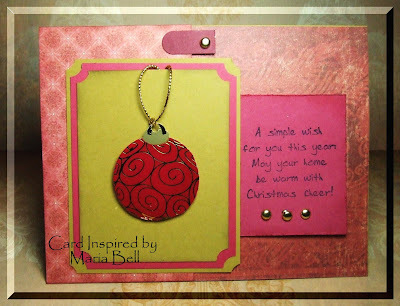 Many times, this is a good way to share a card idea or technique that you want to share with someone or to create a design of a card that you can store without the bulk of a full card and later attach to a card base when you are ready to send it out. Here are card fronts I made with scraps of designer paper. I stored the card fronts into my "Scrappy Cards Album" above. When I make enough of them I'll create labels and organize them in categories such as Birthday, All Occasion, Get Well, etc. 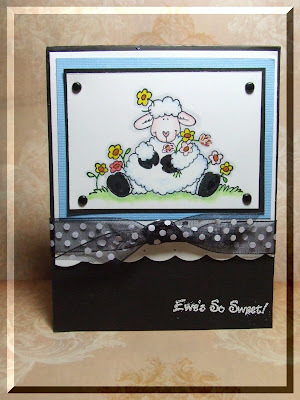 When I want to send a card to someone, I'll attach it to a card base. 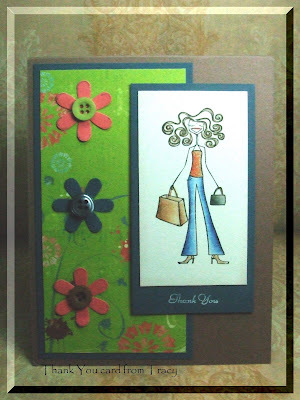 Another card using strips of scrap designer paper. 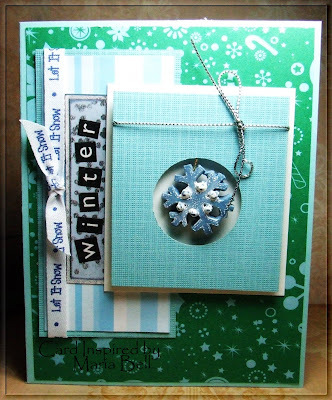 Mixing and matching your scraps and creating a card is a great way to reduce your scrap pile. A whole bunch of scraps were used for this card. It was fun putting the different elements together. My goal this week is to reduce my small pieces of scrapbook paper and miscellaneous embellishments. Hi Everyone! I haven't posted any projects for this blog site for a few days. . .I've been busy working on cards for Angel's (Angelosity) Blog Candy for the past week which I posted primarily on my Stampin Inspirations blog site. Last night I decided to do a few quickie projects and I mean quickie. It took less than 15 minutes each to alter each jar and container. 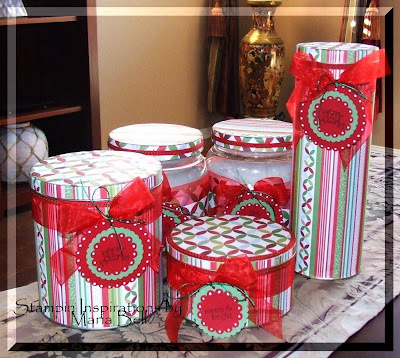 All I did was wrap the jars and container with SU "Apple Cider" designer paper and added Prima flowers, chipboard, ribbons, and labels for each project. Rather than buying containers at the store which can be quite pricey. . .save your jars and alter them. They make great containers for your embellishments and scraps. 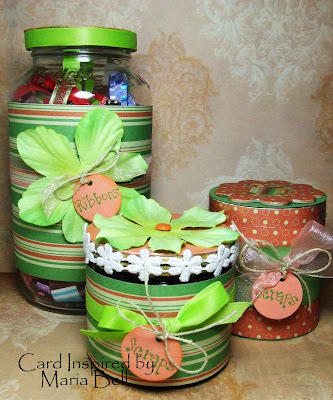 The large jar was made using a Prego spaghetti jar which I use to store scrap ribbons. 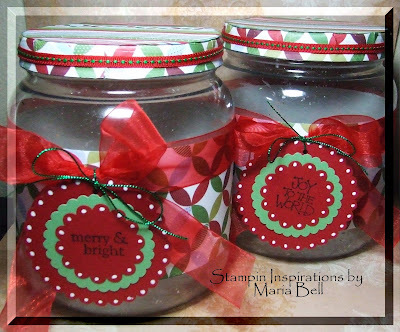 The other two jars stores embellishments. I plan to do a few projects today for this blog site. If I finish them today, I'll post them this evening. Until later, folks!! I went to several garage sales on the weekend. . .primarily to look for stuff that I can alter. In my opinion, there's no point in buying new stuff at the craft store if you're going to alter them. Look at what I found at a garage sale. . . .a metal card display . . .the same one that stores use to display greeting cards. I always wanted one but when I looked around to buy a new one, the commercial greeting card stands run over a hundred dollars. I wanted a metal one like the stores and I found this one at a garage sale. I bought this one for $20. . .it's used but in fabulous condition. I also found a few photo albums that were new but were being sold for a $1 each. I didn't add a picture of them because I'll do it when I'm done altering them. I can't wait to work on them! 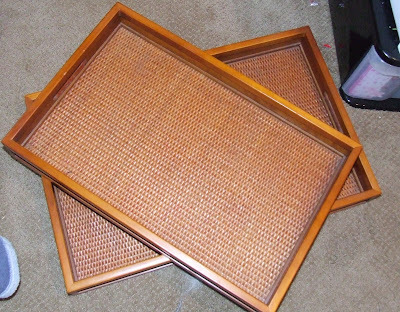 I got these trays for $2 each. Can you believe it!! They're real wood and very pretty. I initially bought them thinking I was going to alter them but I decided I'll keep them the way they are. The trays are huge. . .one is 18 inches long and the other one close to two feet. They'll be great trays to organize some of my craft stuff. I may line the sides with pattern paper. . .we'll see. They're actually pretty the way they are. I love garage sale because I usually find great things. . .especially craft materials. It takes a bit of searching but I usually find craft stuff that people are willing to part with. Good Morning Everyone! My Internet has been running so slow lately. My husband told me that it's a problem with Time Warner right now. Okay. . .it's driving me crazy. It hampers my ability to blog, to do my online banking, to comment on other's site, to download my email, to create tutorials etc. It's so funny how much we depend on the Internet. Anyway, enough of my complaining. 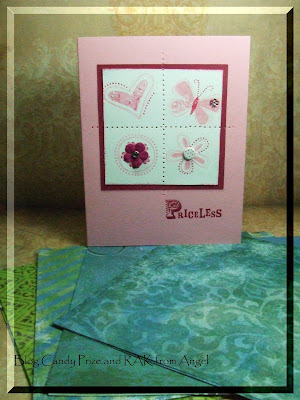 Here are two cards I created for Angel's (Angelosity) Blog Candy/Challenge. I believe there's only 3 more days left. It's been fun working with her sketches. The ornament above is a sticker by Stickopotamus. I had this sticker for so long that when I tried to peel it off, it was stuck to the backing so I had to cut it out. Oh, well. You gotta do, what you gotta do. I mounted the sticker on to the cardstock with foam tape to give it a 3D appearance. You can't see it looking 3D by the picture. I then stamped the sentiment. This card was created for sketch #17: Click here for the sketch. The snowflake in the middle of this card is actually a small ornament that I came in a packet. You can't see it in the picture but it's actually suspended by a string which I taped to the back. I like it because there's movement with the snowflake. Anyway, this card was created for Angel's sketch #16: Click Here for the sketch. 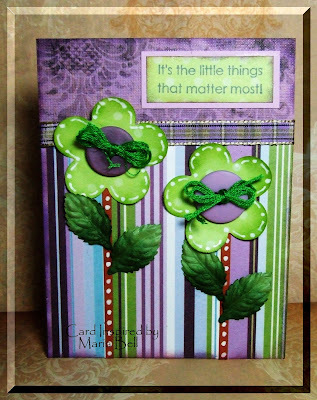 Angel's blog candy is winding down and I still have a few more catch up card to do. I think I'll catch up today. . .I think. Good Morning Folks. . .I tried posting these RAKs last night but my Internet was running so slow that I couldn't upload the pictures. I don't know what the deal is with my Internet service. . .some days it's smokin' then on some days it's sluggish! I received these wonderful RAKs that I want to share with y'all because they're all fabulous. Although these projects are stamped projects, I decided to post it on this blog site rather than Stampin Inspirations because I haven't posted on this blog site for several days and wanted to add something new on this site. Desi sent me this wonderful Halloween RAKs! OMG. . .I was delightfully surprised when I received the package. Isn't Desi simply talented. She put in a lot of work on these projects and I am grateful that I was a recepient. I'm thinking of making the altered tin that Desi gave me for Christmas. It will be a nice container to give as a gift. Desi also sent dressed up candies, a box template, and the beautiful Halloween card! All fabulous I must say! Thank you Desi for being so kind. Check out what Malieta sent me! Isn't it fabulous? It's pretty in this picture but it's much prettier in person! She does a wonderful job coloring the image. I really love the ribbon that she used and the color combo! Thank you Malieta for sending me this wonderful card! It's really nice to see other people's work in person! 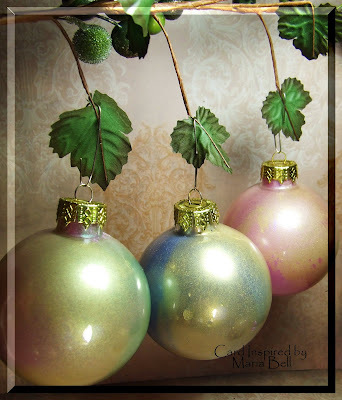 Stop by Malieta's blog site "Life's Simple Pleasures" and check out her other great projects! 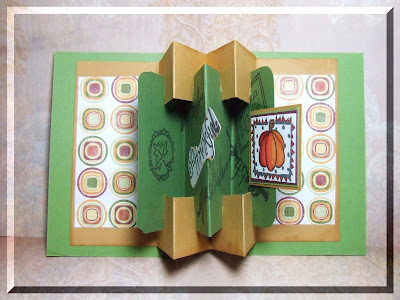 This lovely fall card is from Vicki. I think I was her RAK for Jen's October RAK Club. Isn't it awesome? It gets better. . .if you scroll down below, you'll see the inside of the card. I love it. I actually seen this project in a book that I bought but it was a scrapbook project rather than a card project. I was going to create a tutorial for it one day. I never made one but now that I see how it looks in person, I'm inspired to try it out. Thank you Vicki for the inspiration. Vicki has a new blog site called "Color Commentary". Be sure to visit her blog site to welcome her into blogland! Whoohoo~ don't you just love this project! I gotta, gotta make one of these. Vicki did such a fabulous job! I received a few RAKs and wanted to post them today but my Internet is running like it's on dial-up and I have Roadrunner. It's drivin' me crazy. . .I received a few wonderful RAKs and I wanted to show them off but it's taking forever to load the pictures so I'll try again tomorrow! Be sure to come back and check them out! !